It’s autumn again. Such a wonderful time of year. Cider, hay rides, freshly bought school supplies. 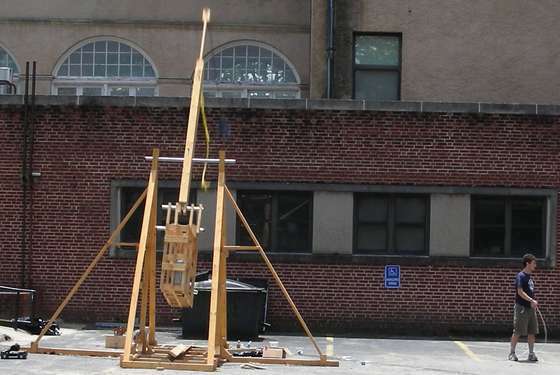 And launching things far through the air with catapults and trebuchets. 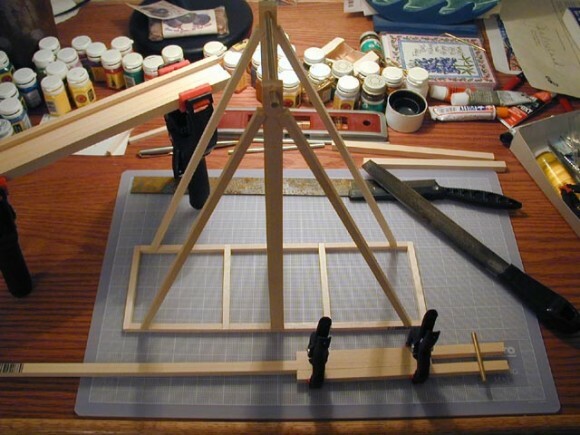 This year, instead of being a mere catapult observer, why not build your own? 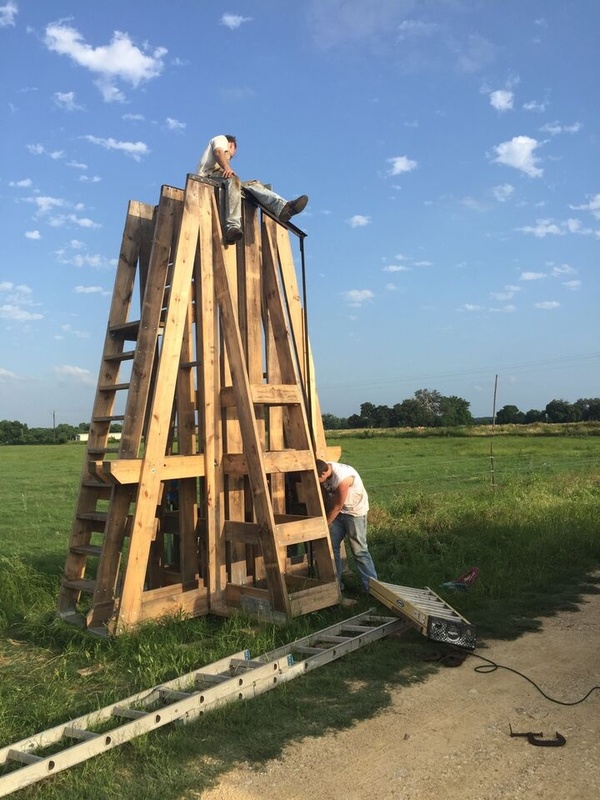 Building a basic trebuchet is really not that complex – it consists of a frame, a throwing arm, a counterweight, and a sling. The trickiest parts tend to be determining the sling release point, the bearings to get things rotating smoothly and deciding how big you want it to be. I’ve poured through various plans on the internet and have compiled a list of sites with notes to anyone that’s looking to make one for themselves. Some of these are complete projects, while others are good for getting ideas on how to build your machine. Put it all together, add in some personal touches, and watch stuff go flying. Get busy! 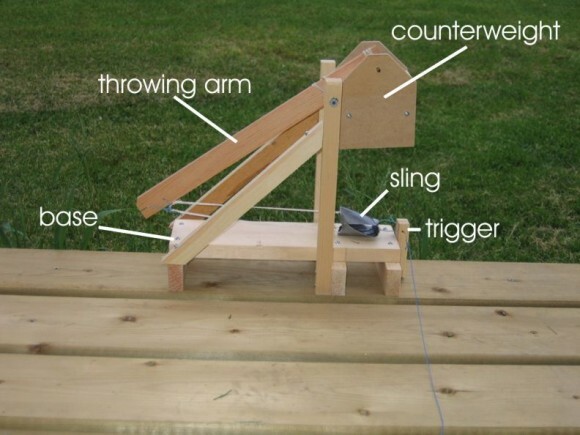 – On smaller trebuchets, the firing pin/trigger mechanism can be fairly light and easy. 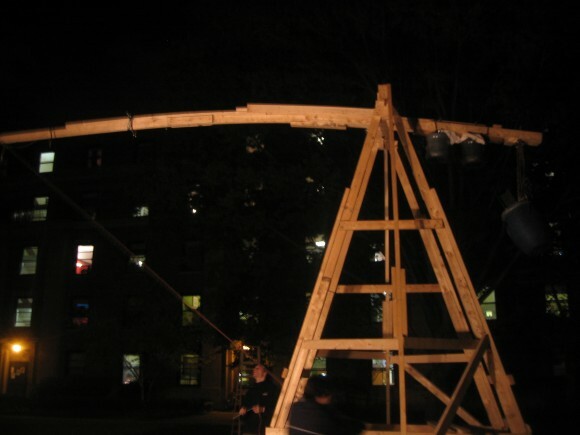 However, larger trebuchets with massive counterweights get into the trouble of binding up most simple triggers. Medieval machines are still researched for what they used to release their weight. 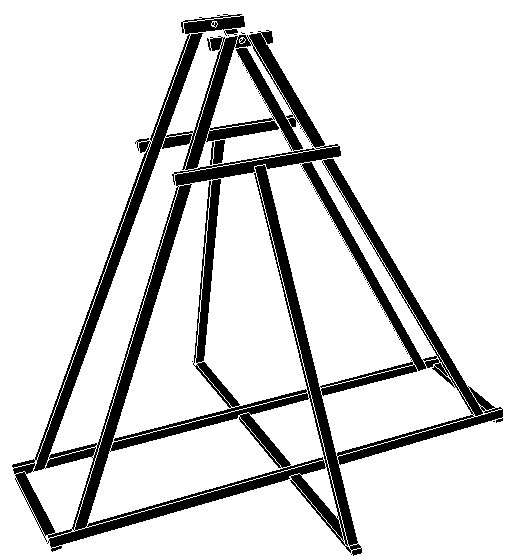 Many current trebuchets use a quick-release system called the SeaCatch. These are elegant, high quality units made in a variety of sizes. They’re expensive – I would have loved to have one for Catch It Keep It, but they were outside our budget. Smallest units cost $500. The large ones used by tugboats are $50,000. They’re awesome. – Interesting observation: none of the plans listed have wheels as part of the unit. 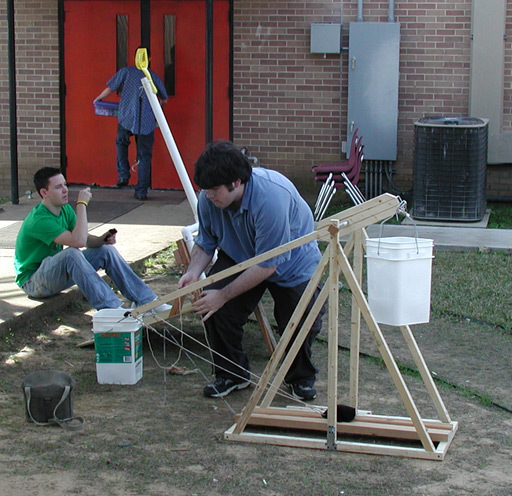 Adding wheels onto trebuchets served two purposes. It allowed them to be rolled to battle easily, and it allowed them to increase their efficiency by letting the counterweight to fall in a more directly vertical path. As the counterweight drops, the wheels move the unit to compensate for the rotational energy it automatically has by being on a pivot. Something to consider adding as you build your own. 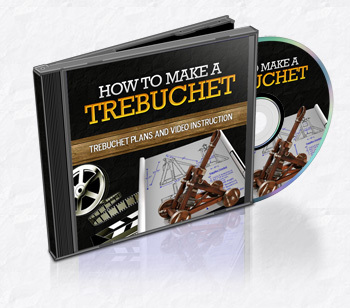 – Amazon has a number of trebuchet kits that allow you the satisfaction of building your own machine, but take out some of the guesswork of sizing and tuning all of the pieces. I like the looks of this miniature desktop unit. The purpose of a hanging (or articulated) counterweight is to allow the weight to follow that vertical path without the need for wheels. 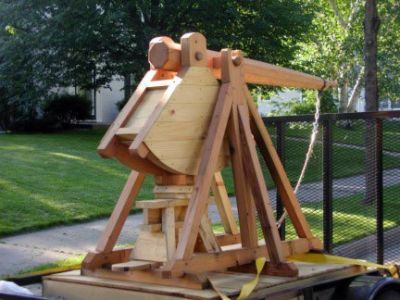 Medieval trebs capable of battering real world fortress walls were too large to transport and had to be constructed at the site of the seige anyway.